The Rehabilitation Program at Mission Terrace is the first choice of Santa Barbara orthopedic, cardiothoracic, trauma, and neurosurgeons for the unparalleled optimal recovery of their post-operative patients. 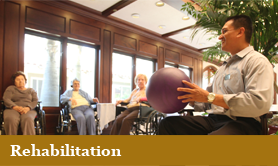 Specialists in cardiology, neurology, pulmonary, and internal medicine choose Mission Terrace for rehabilitation from nearly any medical condition. 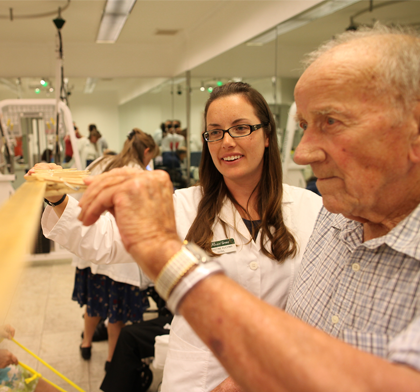 Our physician-led interdisciplinary rehabilitation team is comprised of physical, occupational and speech therapists who work together to achieve residents’ independent return home, or one that requires substantially less assistance. Our Social Services Director works with residents and families to establish rehabilitation goals and prepare them for the return home. 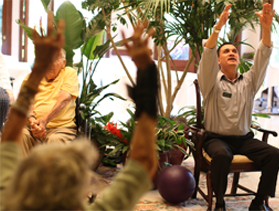 The SSD arranges an in-home rehabilitation and nursing services that build upon gains made at Mission Terrace. 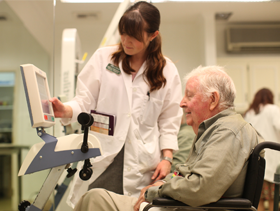 Therapists make pre-discharge visits to the home to ensure their safety. Mission Terrace provides walkers, wheelchairs, other equipment and home modifications. Mission Terrace is Santa Barbara's best choice for orthopedic, cardiothoracic, trauma, and neurosurgeons for the unparalleled optimal recovery of their post-operative patients. 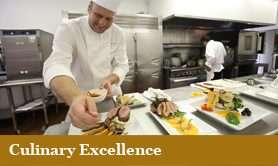 Our licensed dietitian collaborates with our Executive Chef and his culinary institute-trained assistants to provide fresh and delicious culinary delights.